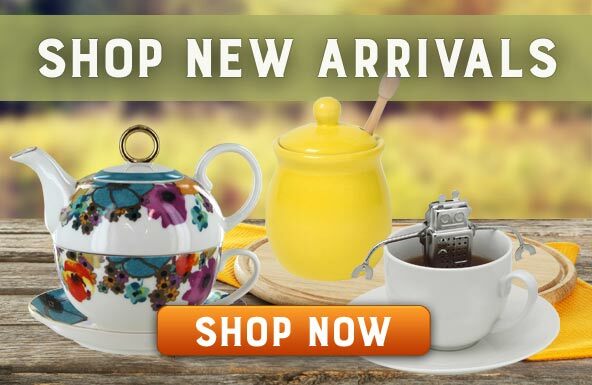 In the month celebrating iced tea, it’s time to accessorize and there’s no better place to look than our new arrivals for some of our newest teawares suitable for your iced tea needs this summer. Take our newest teawares on the go, in your backyard, or to the beach while staying in style! 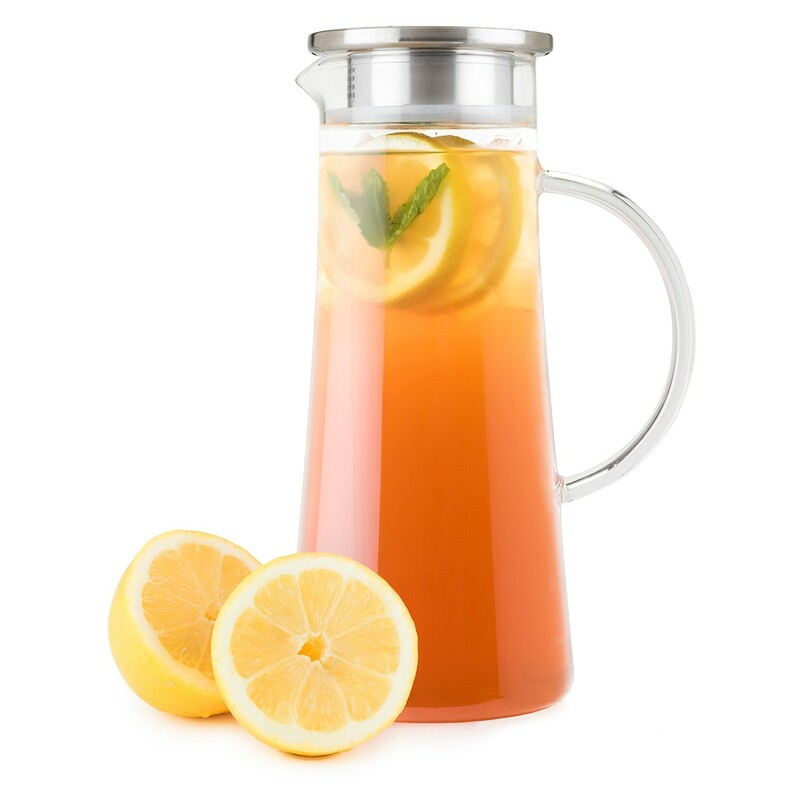 The Lucent Glass Iced Tea Jug w/ Capsule Infuser is a beautiful glass jug that is lead free and heat resistant. The stainless steel infuser allows you to brew straight into the jug and then serve it right away. This jug is also easy to clean with detachable parts, so you can use this over and over again this summer. The Charlie Glass Iced Tea Carafe is a 1.5 liter carafe with a filter in the lid. You will easily be able to make sun tea or just regular iced tea when you can add tea to the filter and steep straight on! 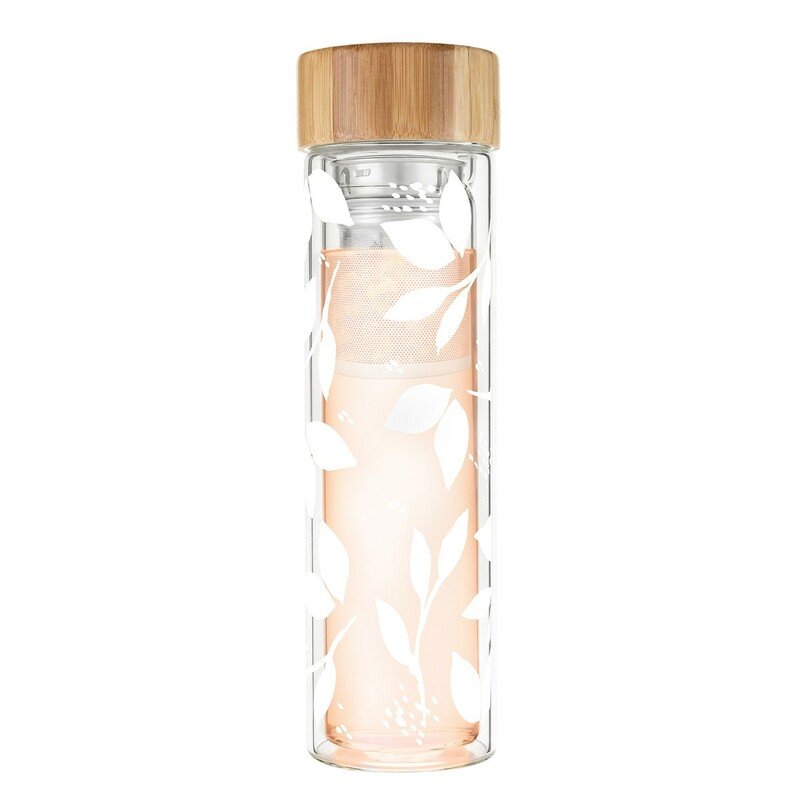 The Blair White Leaf Pattern Glass Travel Infuser Mug will liberate you from brewing your tea strictly at home! If you want to make your iced tea and have it on the go, now you can thanks to the detachable strainer and double walled glass. This mug has a lovely white leaf design but you can also choose from colorful posies or delicate white flowers.